Webroot Mobile Security (SecureAnywhere Mobile) is an advanced security app for smartphones and tablets. It includes Free Anti-virus, Internet security and identity protection for mobile devices. Secure mobile web browsing identifies malicious websites and protects against phishing and other social engineering tactics aimed at seizing your personal data in real time. Android antivirus automatically protects, scans, and checks all apps and updates for threats without interruptions. In addition to cyberattacks, mobile devices are highly vulnerable to theft and loss due to their size and portability. 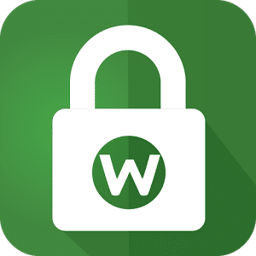 Webroot Mobile Security application allows you to lock, scream, or wipe Android devices once they’ve been lost or stolen. Threats from mobile malware on Android devices continue to grow, but Webroot blocks these mobile threats before they infect your phone, including threats from malware delivered by malicious apps. The ability to quickly access and lock a lost or stolen device means peace of mind and privacy protection. Lock, scream, or wipe your Android smartphone as soon as it’s compromised, then pinpoint its location using the device locate feature. Android antivirus automatically protects, scans, and checks all applications and updates for threats without interruptions. Its footprint is light on memory and battery usage, meaning it won’t affect performance. This release resolves issue around scan being out of date, bug fixes, and general performance updates.